Vivo V3Max Philippines Major Price Cut, Announced! I've just received an email from Vivo Mobile Philippines confirming that they will be giving their gorgeous and powerful phablet - the Vivo V3 Max - a considerable price cut, allowing more Pinoys to enjoy the device. From having an official SRP of Php 16,990 when it was launched in the country around middle of this year, the handset will don a lower price tag of Php 13,990 starting October 7, 2016 at all authorized retail outlets of the company nationwide. 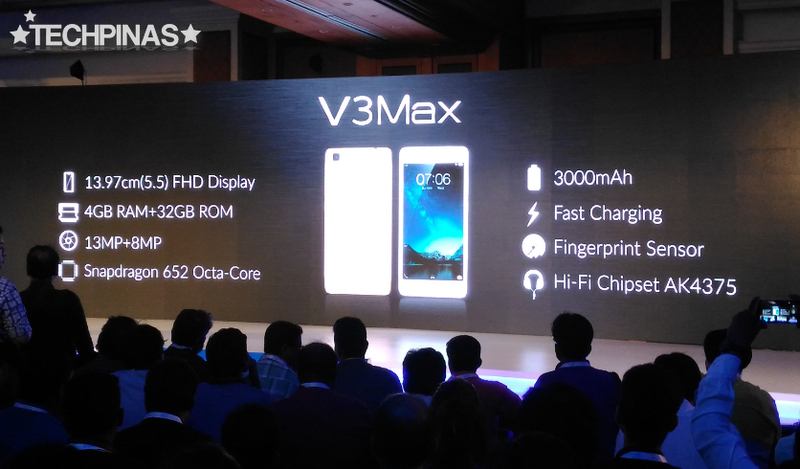 Formally unveiled in Mumbai, India last April 2016, Vivo V3Max is - simply put - the larger and more powerful version of the best-selling Vivo V3. "As consumers increasingly adopt their smartphones as an integral part of their daily lives, we at Vivo strive to provide them with a worthy partner that can keep up with their fast-paced lifestyle. The Vivo V3Max will surely be a more compelling option for users who are looking for an uncompromising device that is packed with flagship features and premium looks that give them value for money," shared Ms. Hazel Bascon, Vivo Philippines Vice President. 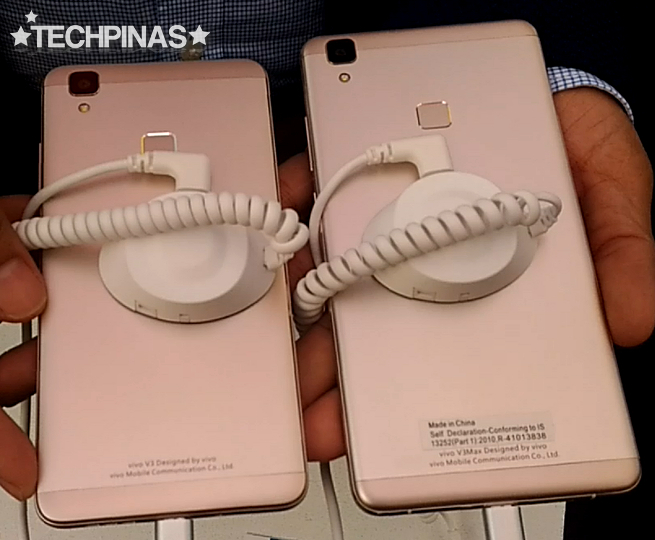 5-inch Vivo V3 and Vivo V3 Max, respectively. 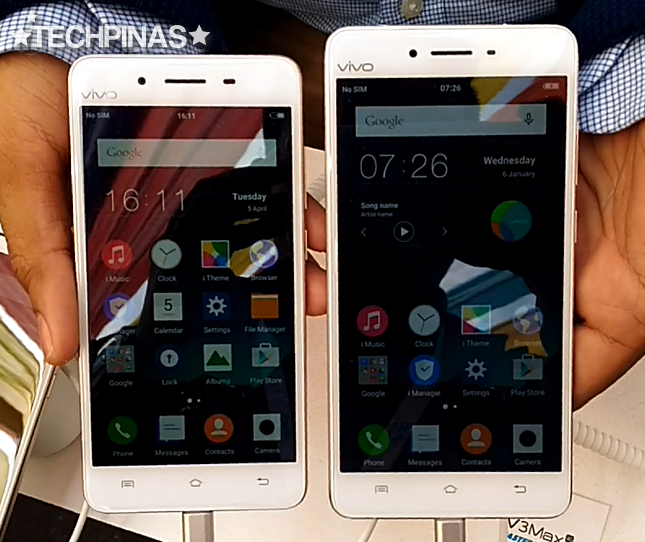 As Vivo's top-of-the-line release for this territory, the V3 Max is crafted to be pleasing both inside and out. Looks-wise, it's one of the most elegant handsets in its price bracket with its 2.5D Curved Gorilla Glass face and Zircon-Coated Metallic shell. These elements work together to give the device an air of corporate sophistication that I'm sure many yuppies are eyeing. In terms of specs, Vivo V3Max is equipped with a 5.5-inch Full HD IPS OGS display, 13 MegaPixel autofocus main camera with LED flash and dedicated RAM for launching it, 8 MP front cam for selfies with Ultra HD mode, Full HD 30fps video recorder, Fingerprint Scanner for unlocking the phone in just 0.5 seconds from sleep mode, Hi-Fi audio, Dual SIM Dual Standby capability, and 4G LTE support. Under the hood, this phablet runs its Funtouch OS skinned Android 5.1 Lollipop OS with a 64-Bit Octa Core Qualcomm MSM8976 Snapdragon 652 chipset, has a generous amount of RAM at 4GB, and comes with 32GB of internal storage that easily be augmented using the hybrid secondary SIM slot supporting microSD card memory expansion. Vivo V3Max is powered by a long lasting 3,000 mAh battery with dual-engine fast-charging technology, which is compatible with Qualcomm’s Quick Charge 2.0 standard. This pack should provide around a whole day of uptime with regular use. This TP Recommended smartphone is the latest Vivo device to receive a major a price cut this year -- joining Vivo V3 that's now available for just Php 9,990 as well as the Vivo Y51, which you can get for only Php 5,990. I invite you to give the V3 Max a test run at any Vivo Concept Store or major authorized reseller of the brand in a mall near you. Vivo V3 Max is available and can be bought in argomall. Check out at https://https://www.argomall.com/vivo-v3-max-gold.html. Available in Gold color. Yours for only P13990 with free shipping and cash on delivery nationwide.